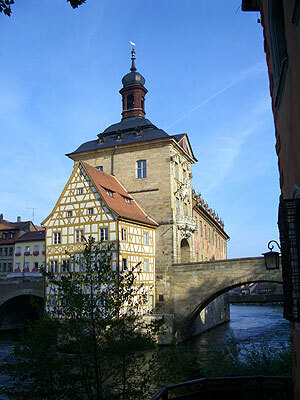 This is Bamberg, in Bavaria, where Cynthia and I lived from 1967 to 1969 during my Army tour of duty. 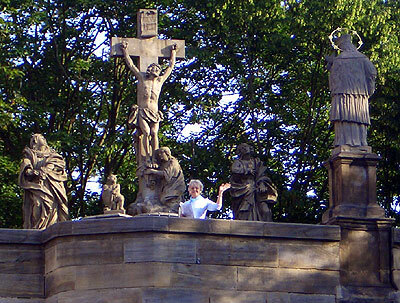 Statues on the bridge that lead to the city hall. 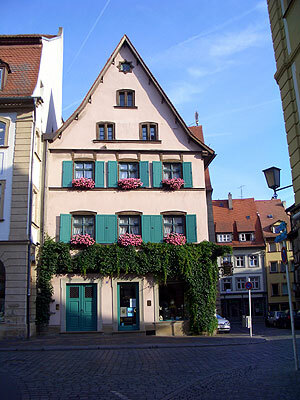 A typical building in Bamberg with flowers in every window. 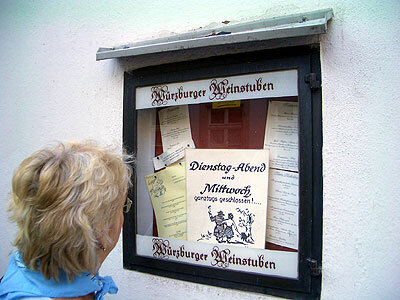 The Wurzberger Weinstuben Restaurant that Cynthia and I used to visit during my Army days. 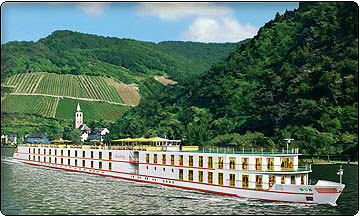 It was famous for its cooked snails. 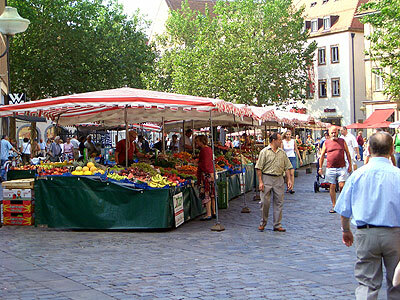 The main street downtown that has turned into a walking street where the vegetable market is located. 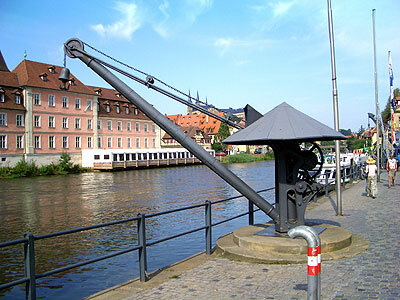 An antique hand operated crane used to unload riverboats before they had electricity. 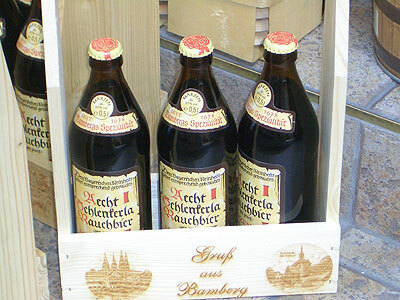 Smoked beer that is unique to Bamberg. This will give you a hangover that lasts for days. The oldest church in town. 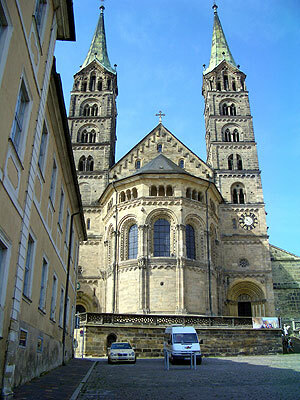 The Dom. There are two Popes buried outside of Italy. Pope Clements is one of them, and he is buried in this church. 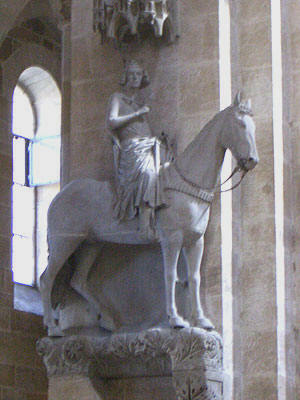 The Bamberg Rider is a statue in the Dom. 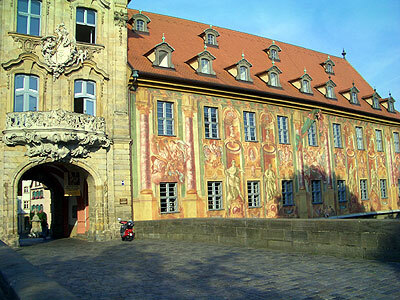 He the symbol of Bamberg.